What causes us to blush? What functions, if any, does reddening of the face serve? This article reviews some recent attempts to address these questions. One strand of research aims to elucidate the complex and scarcely understood physiology of the blush. Another strand explores the notion that the blush is a response to unwanted social attention. A third strand shows that a blush can influence observers’ opinion of the blusher, an effect that is enhanced by its involuntary nature. It can do so in positive ways, communicating the blusher’s sensitivity to social values and norms. However, it can also be viewed negatively: for many people their blushing is an unpleasant, even distressing experience. Blushing is a ubiquitous yet little understood phenomenon that presents many puzzles. It is a visible change in our most conspicuous feature, yet it can occur when we least want to be noticed and, indeed, can draw attention to our behaviour. We redden when we make a faux pas but also when we are praised or thanked. A blush is involuntary and uncontrollable – an actor might simulate a smile, laughter or a frown, but not a blush. Awareness that you are blushing intensifies it, and being accused of blushing can induce you to blush. Why should our response to social situations take this particular form? Whereas the pallor of fear is explicable in terms of redirection of blood flow from the skin to the skeletal muscles, it is less obvious why embarrassment over certain kinds of social predicaments should be accompanied by increased blood flow to the facial region. the Emotions in Man and Animals, where he considered it to be ‘the most peculiar and most human of all expressions’ (1872, p.310). However, it has not attracted psychological research until recent years, and even such basic questions as what constitutes a blush remain unanswered. A blush is reddening of the cheeks and forehead that can also extend to the ears, neck and upper chest – the ‘blush region’. It differs from other forms of reddening that are associated with, say, physical exertion or the consumption of alcohol or a hot curry in that it accompanies emotional experiences. But which ones? We see reddening of the face in rage and indignation, but this is usually called flushing rather than blushing. The blush is widely considered to be an expression of embarrassment, and indeed it is difficult to discuss one without the other. Yet there is no consensus on this, and some theorists do not regard it as integral to the display of embarrassment (for example, Keltner & Buswell, 1997). You can be embarrassed without blushing and blush without embarrassment (Edelmann, 2001). These conclusions, like so many concerning the blush, are tentative. It is conceivable that people invariably blush when they are embarrassed but the physiological change is not necessarily of sufficient magnitude to be detected. The relations between blushing and emotions, including the self-conscious emotions of shame, guilt and shyness, remain unclear. Is a blush a single phenomenon or are there different kinds of blush, each perhaps with its own cause? This question has received hardly any attention, and psychological research has tended to adopt a commonsense notion of what constitutes a blush. Leary et al. (1992) distinguished the ‘classic’ blush – the sudden reddening of the face – and the ‘creeping’ blush, which is more prolonged and which we often see when someone is being interviewed or is making a presentation to a group. Here, the redness slowly spreads for several minutes and is typically blotchy in appearance. Is this the same phenomenon as the classic blush? One of the problems of researching blushing, which may have been a significant factor in its neglect by psychologists, is the difficulty of its measurement. Research into the facial expression of emotion was initially stimulated by developments in photography (which Darwin drew upon) and subsequently film and videotape and their links to computer technology, and studies of the facial musculature have analysed expressions in close detail. In contrast, the fleeting blush has proved difficult to capture. Advances in recording and analysing the blush, including photoplethysmography and laser Doppler measures of blood flow, are promising. fear, and to investigate its relation to other sympathetically mediated emotional processes. Little research has examined the circumstances that give rise to the blush, and most studies have worked on the assumption that it is an expression of embarrassment rather than considering it a phenomenon in its own right. One recurrent theme is that it is associated with self-consciousness in the sense of imagining how we appear to others. Darwin (1872, p.326) related the blush to self-attention, writing of the ‘mental states which induce blushing…consist of shyness, shame and modesty; the essential element in all being self-attention… It is not the simple act of reflecting on our own appearance, but the thinking of what others think of us which excites a blush.’ An intriguing test of the attention hypothesis was conducted by Drummond and Mirco (2004) who found that staring at one side of a participant’s face while she sang or read aloud produced increased cheek temperature and measured blood flow at that side but not at the unattended side. Nevertheless, as I have argued elsewhere (Crozier, 2000), attention paid by others does not explain all occasions of blushing, since, for example, a blush can be elicited when a sensitive or personal topic is raised during a conversation such that you may redden whether or not you are the centre of attention or even noticed by anyone; indeed, in these circumstances a blush can bring about attention rather than ensue from it. I put forward the exposure hypothesis: If some event X brings into the open (or threatens to do so) a topic Y, and Y is something that the individual wishes to keep hidden or believes ought to be kept hidden, X will elicit a blush. Thus we blush when there is an allusion to something significant to us, perhaps something we have done in the past, even if no one else is aware of its significance. We do so to hear someone’s name mentioned if we are attracted to him or her, whether anyone knows this or not. References to exposure were evident in participants’ recollections of blushing episodes (Crozier, 2000) and in samples of literary texts that mention blushing (Crozier, 2004). Dijk and de Jong (2009) conducted an empirical test of the exposure hypothesis and found that anticipation that blushing may reveal information one would want to keep hidden was identified by participants as an undesirable property of the blush.But a number of questions remain. Is exposure fundamental to blushing or is it just one of many triggers? Exposure can be physical, for example a ‘wardrobe malfunction’, but whether one blushes is influenced by context and social and personal values and standards. Do all instances of shame and embarrassment entail exposure of the self in some way? More generally, is it possible to distinguish properties of episodes that are accompanied by a blush from those that are not? An explanation that emphasises the blush’s visibility proposes that when we feel shame we communicate our emotion to others and in doing so we send an important signal to them. It tells them something about us. It shows that we are ashamed or embarrassed, that we recognise that something is out of place. It shows that we are sorry about this. It shows that we want to put things right. To blush at innuendo is to show awareness of its implications and to display modesty that conveys that you are not brazen or shameless. a non-verbal apology or has a remedial function, helping to put matters right after some social predicament (Edelmann, 2001). Empirical studies find that people who blush when they have violated some norm are viewed less negatively than people who don’t blush in these circumstances. We are more likely to interpret behaviour in terms of shame or embarrassment if it is accompanied by a blush (Dijk et al., 2009). Yet the blush is not a simple ‘read out’ of these emotions. The interpretation depends on the context. De Jong et al. (2003) found that whereas a blush leads to a less negative appraisal when the blusher has committed a transgression or made a faux pas, the appraisal is more negative when the circumstances are ambiguous: here the blush may indicate untrustworthiness or guilt. In one recollection of a blushing episode a participant reported blushing when the class was accused of dropping paint even though she knew someone else had done it, and she was punished by the teacher who claimed that her red face indicated her guilt. An accusation can cause an innocent person to blush. More generally, Castelfranchi and Poggi (1990) argue that you blush when you believe that your behaviour lends itself to a negative view of the self by the other, whether or not this negative appraisal is deserved. What counts is not whether you have behaved inappropriately but whether you can see that this view of you is a reasonable one to take. The blush makes a particularly effective signal because it is involuntary and uncontrollable. Of course, a blush can be unwanted, and can create predicaments of its own; but so too can, for example, the expression of fear or anger, which we might try to suppress. The costs to the blusher on specific occasions are outweighed by the long-term benefits of being seen as adhering to the group and by the general advantages the blush provides: indeed the costs may enhance the signal’s perceived value. There are problems with the signal account. Cross-cultural evidence shows that blushing is a panhuman experience but its visibility depends on facial complexion. Edelmann (1990) reported differences among five European countries and Japan in the frequency with which blushing was reported as accompanying embarrassment (blushing was most common in the UK). Casimir and Schnegg (2002) investigated colour–emotion associations in 98 languages and dialects. The colour red was associated with shame in 78 languages, predominantly in populations with fair complexions. we reconcile the significance of the appearance of the blush when there is individual variation in visibility and when peoples with dark complexions are less likely to show facial reddening? Do societies experience embarrassment or self-conscious differently depending on their inhabitants’ complexion? Does embarrassment have different implications for social life in these populations? Finally, the meaning of any expression is influenced by its social and cultural context; these need to be explored in the case of the blush. to social encounters and its benefits to individuals who participate in them. Yet the experience of blushing causes distress to many people. They may seek professional help, whether psychological interventions or pharmacological treatments; in some cases they are prepared to undergo surgery (endoscopic transthoracic sympathectomy) to inhibit their facial reddening. Websites carry testimonials of vivid depictions of the miseries caused by blushing, variously described in terms of ‘suffering a condition’, a ‘disability’ or being a ‘weird person’, and provide many examples of attempts to overcome the problem with one or another form of treatment. Blushing can be a source of shame and anxiety in its own right. Many sufferers believe that people interpret it as a sign of weakness or loss of control or as evidence of social incompetence (Edelmann, 1990). Of course, these anxieties are heightened not only by the awareness that blushing is uncontrollable but also that consciousness of blushing can induce or intensify it. Anxiety about blushing is correlated with social phobia/social anxiety disorder. A substantial proportion of people seeking treatment for blushing meet diagnostic criteria for social phobia; many patients diagnosed with social phobia report concerns about blushing (see Crozier, 2006, for details). It seems too, although this is an issue that warrants further research, that many sufferers regard their colouring as the cause of their social difficulties, which, they believe, would disappear if they did not redden. The implication of this position taken by many blushers is that there is something inherently unpleasant or unattractive about blushing. Yet empirical research does not find that individuals obtaining high scores on a self-report measure of blushing are necessarily more likely to colour than other people are, implying that it is the perception of blushing rather than its frequency or intensity that is at issue. Drummond (1997) and Mulkens et al. (1999) found little relation between physiological measures of the intensity of blushing and self-reports of the extent of blushing or embarrassment when these physiological measures were taken while participants were engaged in an embarrassing task. Other studies do find evidence of physiological differences among people high and low in anxiety about blushing. Changes in blood flow may be dependent upon the nature of the embarrassing task (Gerlach et al., 2001); Drummond et al. (2003) detected no individual differences in blood flow at the outset of an embarrassing task, but the blush persisted longer among individuals with higher blushing anxiety. Further research would be valuable here, as establishing a psychological basis for blushing anxiety has implications for interventions. Detailed consideration of the many issues surrounding interventions to help people with blushing problems would require a separate article (for additional discussion, see Crozier, 2006; Crozier & Alden, 2009). Briefly, two approaches have attracted most research attention, differing in their conception of the source of the problems. If it is thought that blushing frequency or intensity is the source, then eradicating the blush, for example by means of surgery, has been advocated (Drott et al., 2002; for reservations about the procedure, see Drummond, 2004). If it is thought that beliefs and expectancies about blushing are the cause of difficulties, then some form of cognitive therapy is recommended (Bögels, 2006). Psychological research into social anxiety has perhaps provided the most productive stimulus for research into blushing. It has shown that people’s beliefs and expectancies about how noticeable their blush is and what its consequences are constitute a significant factor in maintaining blushing anxieties; it recognises how serious these anxieties can be for individuals. It is difficult to do justice to the complexities of blushing in a short article; I hope I have managed to suggest that it raises fundamental questions about the nature of emotion, emotional expression, the psychological significance of the face, the self, self-consciousness and social anxiety. There are issues that I have been unable to broach. How has the blush evolved and how has it become attached to self-consciousness? Is it the case that it is a uniquely human expression? 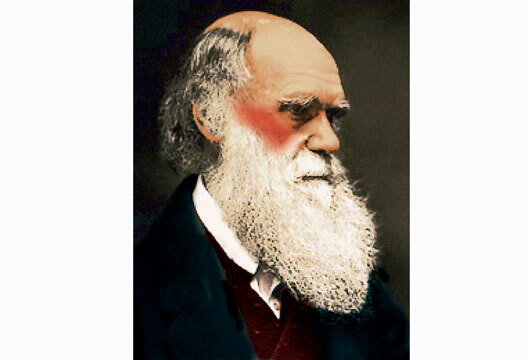 Darwin’s first thoughts on blushing in a notebook of 1838 raised the question of its sexual significance, and this aspect has been little studied, although, unsurprisingly, it has been of interest to psychoanalysis. The blush, like embarrassment, often coincides with unexpected events and with fluster and mental confusion, and how it is related to these states is worthy of research. We know hardly anything about the emergence of blushing in childhood and its development across the lifespan. The blush has been the subject of historical and cultural studies of the significance of the body, particularly the face, and of the skin as boundary between the person and the world (e.g. O’Farrell, 1997); here too, it has remained an elusive phenomenon, lacking sustained investigation. Psychologists are beginning to gain some insight into blushing, sufficient to appreciate the complexities raised by this scarcely noticed phenomenon, ‘the most peculiar and most human of all expressions’. Bögels, S.M. (2006). Task concentration training versus applied relaxation, in combination with cognitive therapy, for social phobia patients with fear of blushing, trembling and sweating. Behaviour Research and Therapy, 44, 1199–1210. Casimir, M.J. & Schnegg, M. (2002). Shame across cultures: The evolution, ontogeny and function of a ‘moral emotion’. In K. Keller, Y.H. Poortinga & A. Schölmerich (Eds.) Between culture and biology: Perspectives on ontogenetic development. (pp.270–300). Cambridge: Cambridge University Press. Castelfranchi, C. & Poggi, I. (1990). Blushing as a discourse: Was Darwin wrong? In W.R. Crozier (Ed.) Shyness and embarrassment: Perspectives from social psychology. (pp.230–251). Cambridge: Cambridge University Press. Crozier, W.R. (2000). Blushing, social anxiety and exposure. In W. R. Crozier (Ed.) Shyness: Development, consolidation, and change. (pp.154–170). London: Routledge. Crozier, W.R. (2004). Self-consciousness, exposure, and the blush. Journal for the Theory of Social Behaviour, 34, 1–17. Crozier, W.R. (2006). Blushing and the social emotions: The self unmasked. Basingstoke; Palgrave Macmillan. Crozier, W.R. & Alden, L.E. (2009). Coping with shyness and social phobia. Oxford: Oneworld. de Jong, P.J., Peters, M.L. & De Cremer, D. (2003). Blushing may signify guilt: Revealing effects of blushing in ambiguous situations. Motivation and Emotion, 27, 225–249. Dijk, C. & de Jong, P.J. (2009). Fear of blushing: No overestimation of negative anticipated interpersonal effects, but a high subjective probability of blushing. Cognitive Therapy and Research, 33, 59–74. Dijk, C., de Jong, P.J. & Peters, M.L. (2009). The remedial value of blushing in the context of transgressions and mishaps. Emotion, 9, 287–291. Drott, C., Claes, G. & Rex, L. (2002). Facial blushing treated by sympathetic denervation – Longstanding benefits in 831 patients. Journal of Cosmetic Dermatology, 1, 115–119. Drummond, P.D. (1997). The effect of adrenergic blockade on blushing and facial flushing. Psychobiology, 34, 163–168. Drummond, P.D. (2004). Endoscopic transthoracic sympathectomy for blushing. Journal of Cosmetic Dermatology, 2, 45. Drummond, P.D., Camacho, L., Formentin, et al. (2003). The impact of verbal feedback about blushing on social discomfort and facial blood flow during embarrassing tasks. Behaviour Research and Therapy, 41, 413–425. Drummond, P.D. & Mirco, N. (2004). Staring at one side of the face increases blood flow on that side of the face. Psychophysiology, 41, 281–287. Edelmann, R.J. (1990). Embarrassment and blushing: A component-process model, some initial descriptive and cross-cultural data. In W.R. Crozier (Ed.) Shyness and embarrassment: Perspectives from social psychology. (pp.205–229). Cambridge: Cambridge University Press. Edelmann, R.J. (2001). Blushing. In W.R. Crozier & L.E. Alden (Eds.) International handbook of social anxiety. (pp.301–323). Chichester: Wiley. Gerlach, A.L., Wilhelm, F.H., Gruber, K. & Roth, W.T. (2001). Blushing and physiological arousability in social phobia. Journal of Abnormal Psychology, 110, 247–258. Leary, M.R., Britt, T.W., Cutlip, W.D. & Templeton, J.L. (1992). Social blushing. Psychological Bulletin, 107, 446–460. Mulkens, S., de Jong, P.J., Dobbelaar, A. & Bögels, S.M. (1999). Fear of blushing: Fearful preoccupation irrespective of facial coloration. Behaviour Research and Therapy, 37, 1119–1128. O’Farrell, M.A. (1997). Telling complexions: The nineteenth-century English novel and the blush. Durham, NC: Duke University Press.